Our Prairie Lakes Office is located in the Shoppes at Prairie Lakes across from Starbucks and Costco. Opened in early 2016 with an industrial interior design. This location features our optical showroom and provides eye exams. 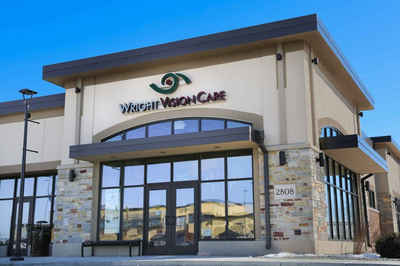 We have been providing advanced eye care to south-central Wisconsin for more than 35 years at our office on Main Street in Sun Prairie, WI. Main Street is still available for exams, but our optical department has moved to our Prairie Lakes location where we would be glad to help you pick out your new glasses!